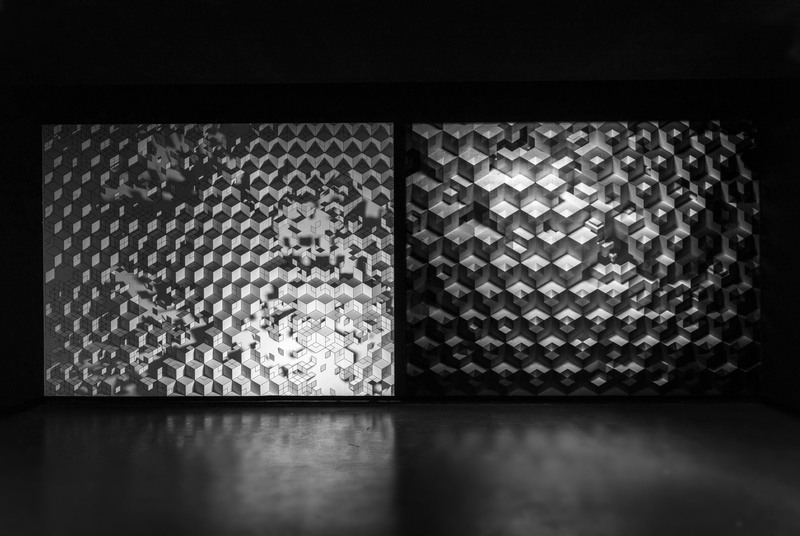 A series of works exploring geometry, light and visual perception. 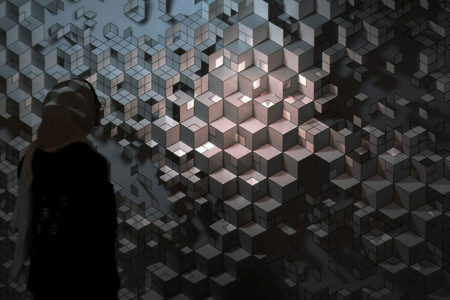 Intricate geometric patterns are augmented by a layer of light, revealing the beauty of motifs. 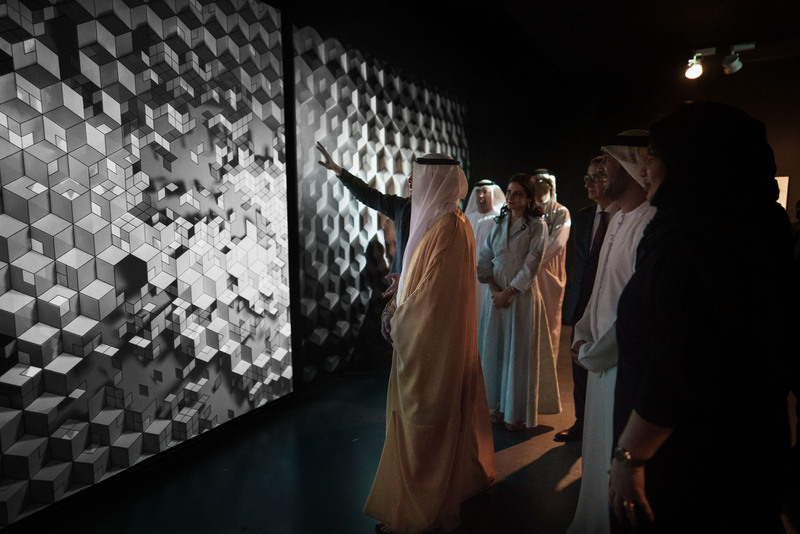 The projections are enhancing our sense of depth, distance and questioning the nature of reality.The interactive part allows the visitor to control the projection and to transform what people see and to create an infinity of geometric compositions.